MODEL MINORITY MyTH In her inaugural lecture, Riley argued that the myth of the model minority hardened a racial barrier between white Americans and Asian Americans and required political submissiveness from the latter. Imagine walking into a bookstore and seeing a bookshelf labeled “Asian History” that includes volumes on Chinese history alongside volumes on Asian-American history. Now imagine a bookshelf labeled “African History” that includes volumes on the history of Nigeria alongside volumes on African Americans in the United States. 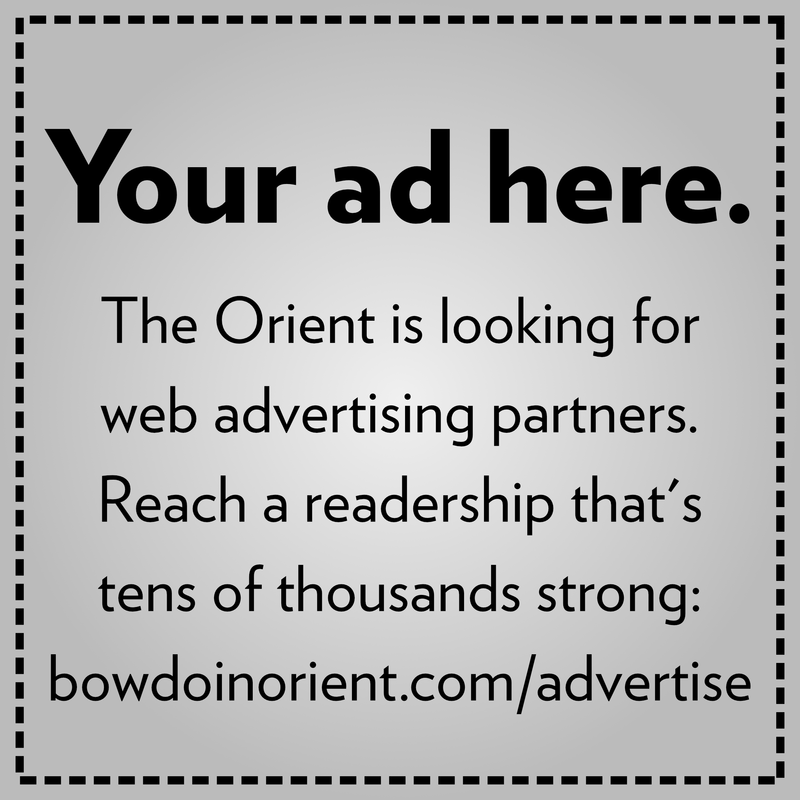 Why is the former a commonplace while the latter virtually unheard of? That was the question that Nancy Riley, the A. Myrick Freeman Professor of Social Sciences, used on Thursday evening to launch her inaugural lecture, entitled “Producing Foreigners: China, Orientalism, and Asian Americans in U.S. 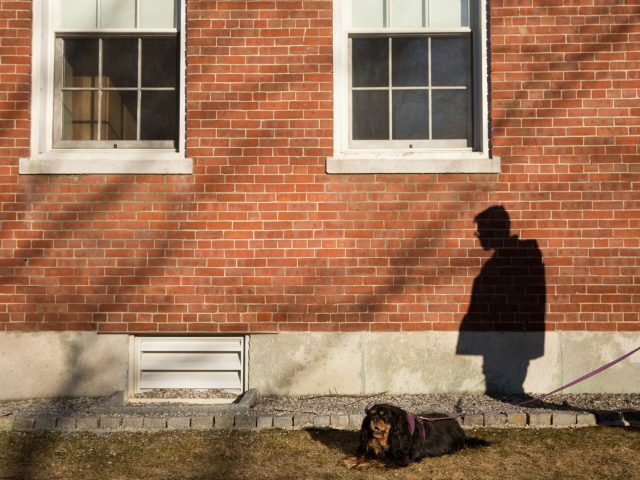 Racial Construction.” Riley, who joined the Bowdoin sociology faculty in 1992, received the appointment to the endowed chairship this past July. Her talk was the fifth and final inaugural lecture of this academic year. Riley’s research interests include social demography in China and East Asia, feminist and critical demography and the comparative study of family. She said in her opening remarks that her interest in the experience of Asian Americans was spurred by the decade she spent living in Hawaii, where she received her Master of Arts and Master of Public Health at the University of Hawaii, and by the experience of having an ethnically Chinese daughter. 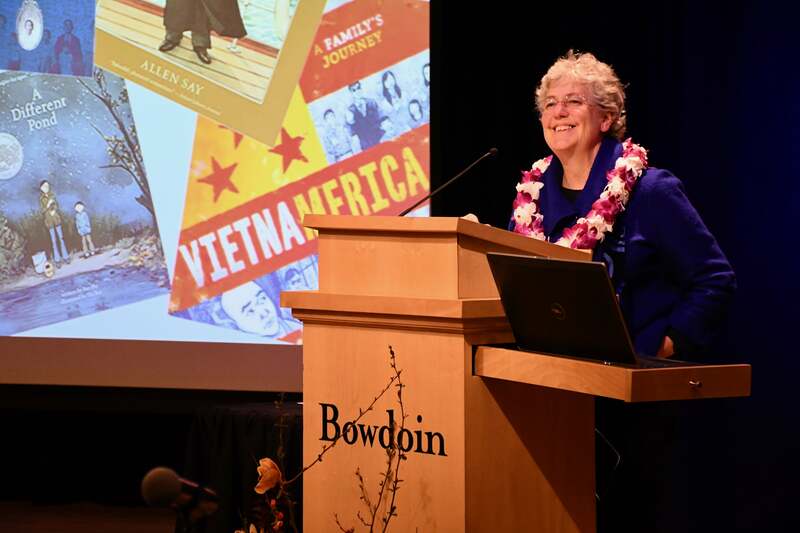 At Bowdoin, she noted, she has sought to create arenas, such as her ongoing course “Asian American Experience,” for students to engage critically with the historical and contemporary dimensions of the Asian racial experience in the United States. As Americans’ perceptions of China evolved—from that of an exotic and almost mythical culture in the first half of the nineteenth century, to a peaceful ally during the Second World War, to a “red menace” during the Cold War and today as an economic and military rival—Americans’ perceptions of Asian Americans have adapted accordingly—from an alluring exotic attraction, to a potentially-subversive ally, to a general cultural threat. Riley focused specifically on how the cultural myth of Asians as the so-called model minority continues to shape the experience of Asian Americans today. Though superficially flattering, the myth of the model minority, Riley argued, both homogenizes a great deal of cultural, economic and political diversity within the Asian American population and implicitly positions other racial and ethnic minorities, specifically African Americans, as Asian Americans’ undesirable double. Most perniciously, Riley argued, the myth of the model minority placed Asian Americans in a double-bind, extending the promise of cultural acceptance and economic success in exchange for political submissiveness, all the while erecting an insurmountable racial barrier between Asian Americans and whites. The question so often asked of Asian Americans—“Where are you really from?”—Riley argued, embodies white Americans’ conviction that, while Asian Americans might be American in name, in reality, they are always and everywhere foreigners. Moreover, Riley argued, the discourse surrounding the myth of the model minority reinforced the values of a neoliberal economic order, which obscures systematic patterns of discrimination behind a veneer of individual economic striving, falsely promises commodity consumption as the path to cultural citizenship and undermines racial and class solidarity by placing minorities in economic competition with one another. Ultimately, Riley argued that a close analysis of the Asian American experience in the United States suggests a need to move beyond the white-black binary in discussions of racial politics while encouraging a greater awareness of the ways that global geopolitics shape America’s collective racial consciousness. 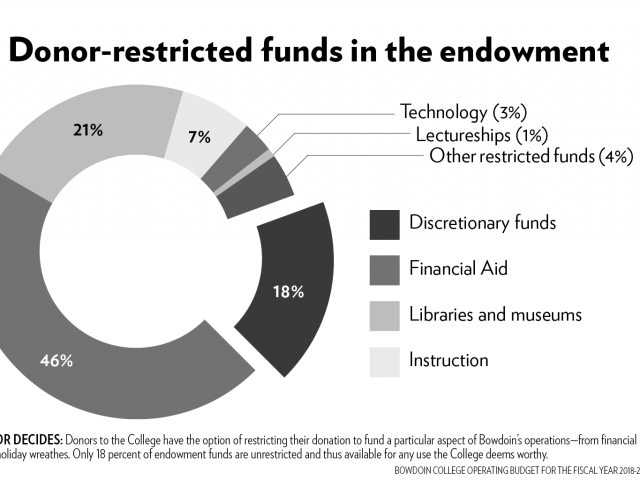 The lessons of this study, Riley urged, should be lost upon members of the Bowdoin community.